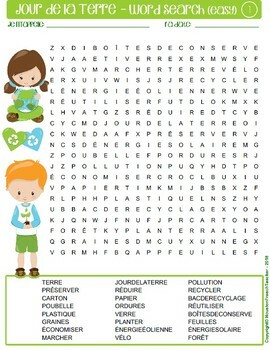 This product contains 4 fun Jour de la Terre: Earth Day (wordsearch) Activity - word search. There are 2 easy versions and 2 hard versions. 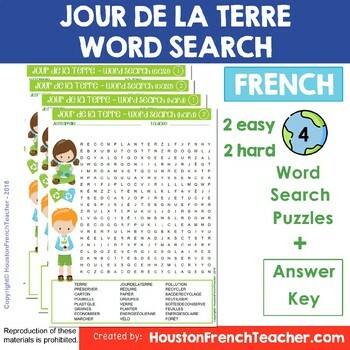 Each word search has 24 words related to Jour de la terre (Earth Day). Answer keys are included! Looking for a fun activity for Jour de la terre (French Earth Day)? This is a great way for students to learn/practice the French Earth Day (Jour de la terre) vocabulary.